“Such respect for the people of Iran as they try to take back their corrupt government. You will see great support from the United States at the appropriate time! Do you want freedom from Islam and Islamic Republic? Then there is no stopping of protests! Eight-and-a-half years ago, Americans watched the people of Iran rise up to claim their birthright of freedom. 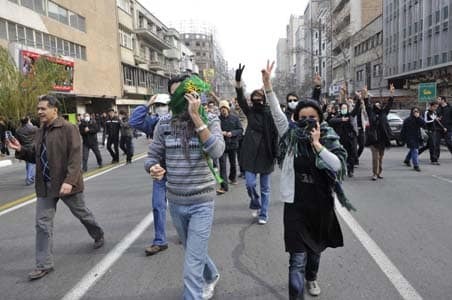 In the “Green Revolution,” millions of courageous young men and women filled the streets of Tehran and Tabriz, Qazvin and Karaj, and what seemed like every city and village in between. They denounced a fraudulent election, and as the days went on, they began to demand that the unelected ayatollahs end their decades of repression and release their iron-fisted grip on Iran and her people. Those brave protesters looked to the leader of the free world for support. But as I saw first hand as a member of Congress, the president of the United States stayed silent. 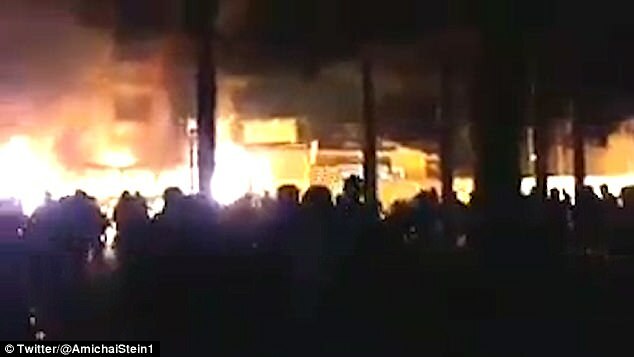 In the wake of the demonstrations and the regime’s brutal attempts to suppress them, President Barack Obama repeatedly failed to express America’s solidarity with the Iranian protesters. As a member of the House Foreign Affairs Committee, I recognized the lack of action for what it was: an abdication of American leadership. 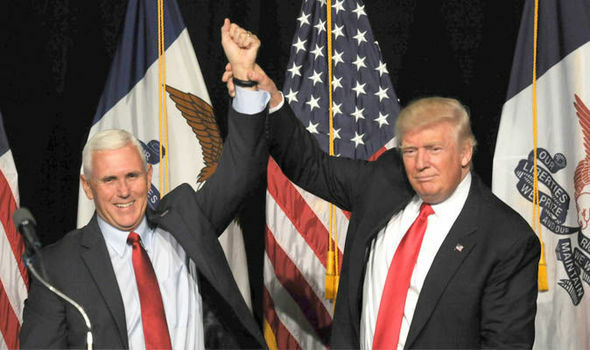 The United States has long stood with those who yearn for freedom and a brighter future, and yet the president declined to stand with a proud people who sought to escape from under the heavy weight of a dictatorship, issuing only a delayed response condemning the regime’s violence. At the same time, the United States was failing to confront the leading state sponsor of terrorism — a mistake that endangered the safety and security of the American people and our allies. The last administration’s refusal to act ultimately emboldened Iran’s tyrannical rulers to crack down on the dissent. The Green Revolution was ruthlessly put down, and the deadly silence on the streets of Iran matched the deafening silence from the White House. 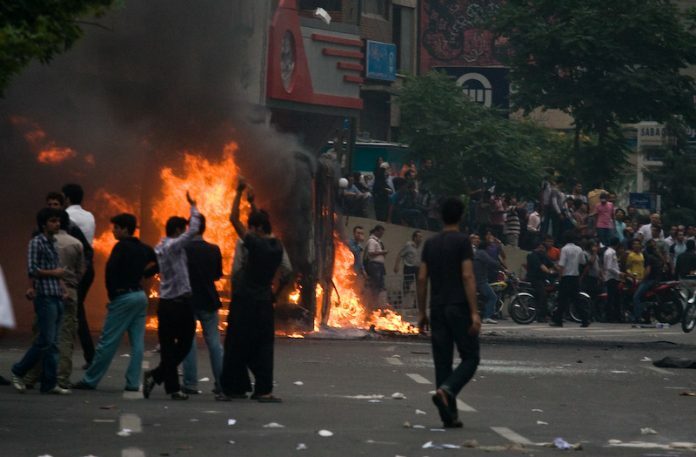 To this day, many Iranians blame the United States for abandoning them in their hour of need. Today, the Iranian people are once again rising up to demand freedom and opportunity, and under President Trump, the United States is standing with them. This time, we will not be silent. Months before the protests started in Iran, the president predicted that the days of the Iranian regime were numbered. 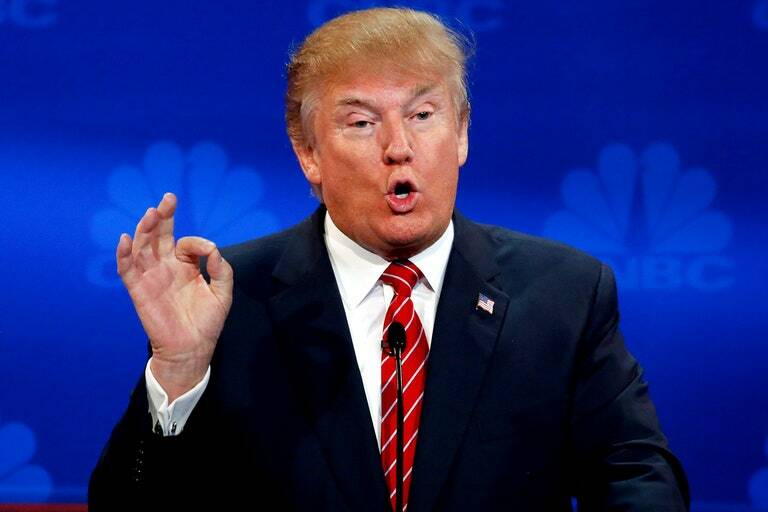 Speaking at the United Nations in September, he said, “The good people of Iran want change, and, other than the vast military power of the United States, Iran’s people are what their leaders fear the most.” Much like another president who made similar predictions about the Soviet Union, the president was mocked. These words now ring truer than ever. Where his predecessor stayed silent in 2009, Trump swiftly offered the Iranian people America’s unwavering support. He has also committed to provide assistance in the days ahead. More broadly, the president declined to certify the previous administration’s nuclear deal with Iran, which flooded the regime’s coffers with tens of billions of dollars in cash — money that it could use to repress its own people and support terrorism across the wider world. We have already issued new sanctions on Iran’s Islamic Revolutionary Guard Corps, and the president is weighing additional actions to punish the regime for its belligerent behavior and assault on its own citizens. The United States has spoken clearly and unequivocally. Unfortunately, many of our European partners, as well as the United Nations, have thus far failed to forcefully speak out on the growing crisis in Iran. It’s time for them to stand up. The suppression of the Green Revolution in 2009 shows the disastrous price of silence. The president and I call on leaders of freedom-loving nations across the world to condemn Iran’s unelected dictators and defend the Iranian people’s unalienable right to chart their own future and determine their own destiny. The president has said that “oppressive regimes cannot endure forever,” and our administration will continue to support the protesters in their calls for freedom and demand that Iran’s leaders cease their dangerous and destabilizing actions at home and abroad. We stand with the proud people of Iran because it is right, and because the regime in Tehran threatens the peace and security of the world. That is the essence of American leadership, and as the people of Iran now know, the United States is leading on the world stage for freedom once again. 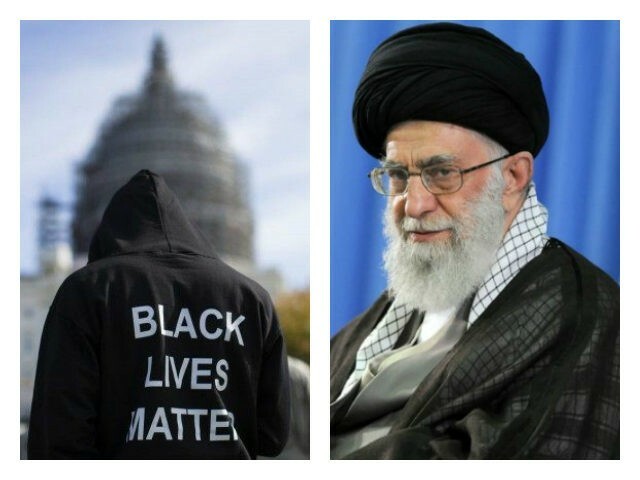 Khamenei Supports “Black Lives Matter” Terrorist Group! Getting back at Trump supporting Iranian Anti IRI Regime Protestors, Khamenei is now supporting “Black Lives Matter” Terrorist Group Anti Trump Administration activities! Who knows maybe Khamenei wants to create a Revolution in America! Khamenei should work together with George Soros and Nancy Pelosi! Maybe Khamenei can help enflame a Marxist Islamist Revolution in America and appoint Hussein Obama as the new leader of the “Resistance” to Trump’s Democracy and Democratic Government! Revolutionary Masses of Iran will not Back Down! IRI Regime Conducts Show Protests to Show Force and Scare the Opposition but Iranian Opposition protests enflames and gets larger. "The Iranian people will determine their own destiny. 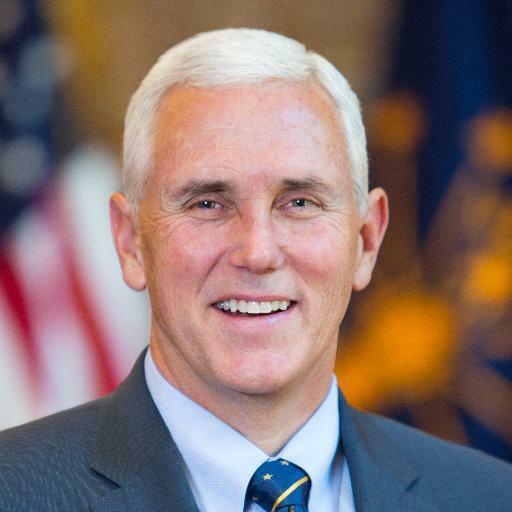 And let there be no doubt whatsoever, the United States stands unapologetically with those in Iran who seek freedom for themselves, prosperity for their families and dignity for their nation." Former Iranian President Mahmoud Ahmadinejad has been arrested by the Iranian authorities for reportedly inciting anti-government protests, the UK-based al-Quds al-Arabi reported Saturday. 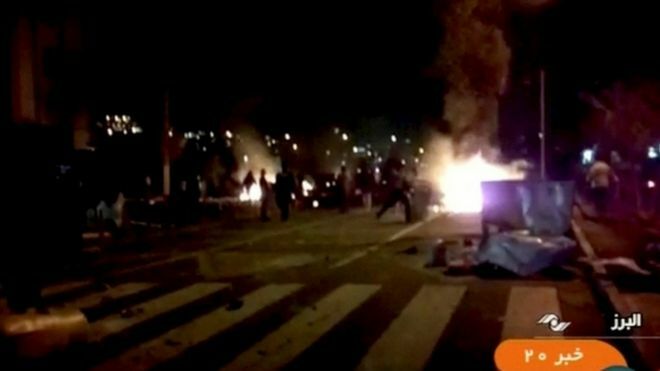 Iranian authorities have declared the unrest over, and held three days of large pro-government rallies across the country between Wednesday and Friday. "Some of the current officials live away from the problems of the people and concerns, and do not know anything about the reality of society," the former Iranian president reportedly said at an anti-government rally, "what Iran suffers from today is mismanagement and not lack of economic resources." "The government of Hassan Rouhani believes that they own the land and that the people are an ignorant society that does not know," Ahmadinejad reportedly said. "The people are angry at this government because of its monopoly on public wealth." 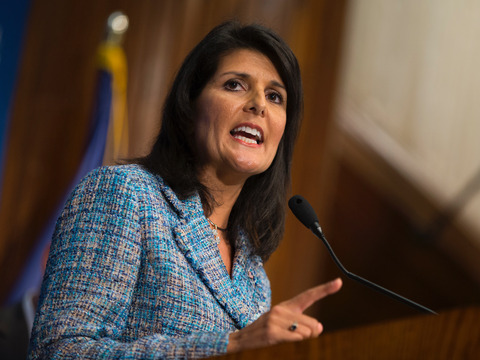 US Ambassador Nikki Haley warned Friday the demonstrations could escalate into full-blown conflict, drawing a comparison with Syria. 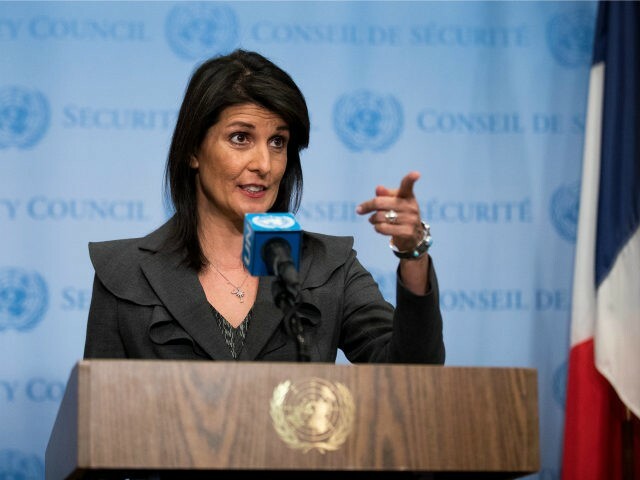 But Russia accused the United States of interfering in Iran's national affairs and called for closed-door talks just before the emergency UN Security Council meeting council's meeting called on Friday. This comment introduces you the complete article titled, Islamic Republic of Iran Will Be Defeated! Persian Warrior Women Won’t Back Down! Remember this face. This is the face of the Persian Rage. 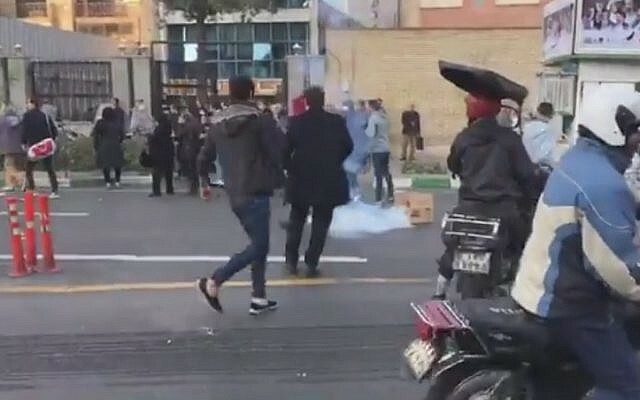 Tehran University student screams in rage at the Islamic police while standing in the middle of the Anti-Riot Police storm of tear gas. Victory will be ours because we are fighting for justice! Now they ban English in schools, claim victory over protestors, and blame foreigners for protests! One must be blind not to see the reality! IRI is in denial. Clerics cannot comprehend that why their base which are the poor people, protesting! IRI doesn’t see the major flaw in the system, so she denies the reality! 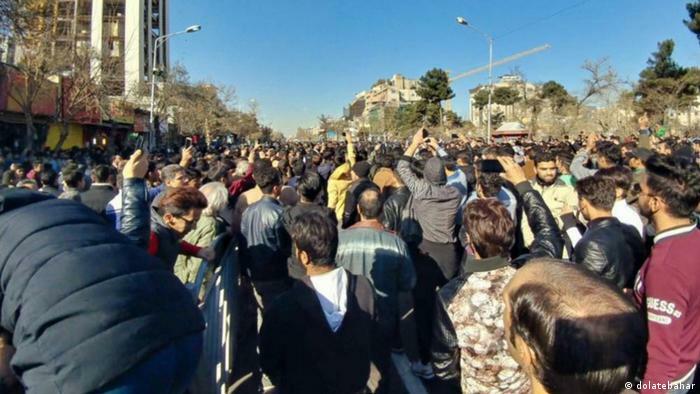 IRI sees mass protests in the streets nationwide and hears the causes but they cannot fix the problems because the complete system is the problem. To fix the problem, they must remove themselves from the power and they cannot do that! 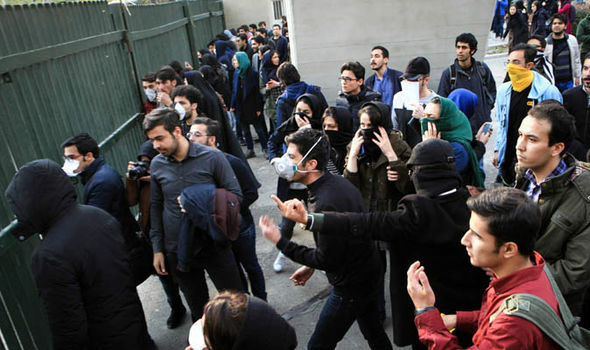 IRI is an unelected regime of theocratic dictatorship which is incapable of successfully operating a functional system of government, so the citizens are protesting. IRI has no answer, so they put the blame on foreign powers and abroad opposition. They fail to see that every single concept of the society is flawed and not functioning. IRI cannot fix the problem so it is destined to fail and soon or late the people will overthrow the regime. Mullahs, IRGC and Hezbollah, steal as much money and riches as you can and prepare to fly to abroad because the end is near. Pack your bank accounts and suitcases. Time to go is near. Some of you good people have been e-mailing me or inquiring from me that why I have not been officially releasing a statement in support of the Iranian Protestors? I did not know if it was necessary for me to do such! Are you good people aware that I have been a member of the IPC Operations for many years? Being a member of the IPC Operations means that I have been a member of the Iranian Opposition for many years. If so, then it is granted and it is for taken that of course I would be in support of the Iranian Protests! I was not aware that I had to shout it out loud! You good people must realize that when I first begun to be political, only a handful of models, artists, musicians and celebrities were political. When I first officially spoke in opposition to the Islamic Republic of Iran’s Regime, it was not the style nor the fashion or fad of the day for the celebrities to be political and in specific in support of the opposition. I was political and opposition way back when being political and opposition was not the fad of the day! Today, everyone is releasing a statement in support of the protestors because it is fad of the day! Once everyone is protesting, all the celebrities jump the wagon. Today everyone is on the protest wagon but where was everybody when IPC Op. and I were protesting? I sincerely was not aware that I had to release an official statement in support of the protestors because it is known and it is granted that I am one of the very few Iranian celebrities who is political and who is pro opposition and is a member of the IPC Operations! I am not another pretty face but I also have a brain. I am very proud of my Turkmen and Persian heritage. I am very proud of being Iranian. I am very proud of being political when politics was forbidden and a hush hush. I am very proud of being Iranian Opposition. I am very proud of supporting the protestors then and now. These statements are statements of facts not fiction! Incase some of you good people were not aware of my history, then once again I am releasing a statement that I have been political, IPC Op., opposition and pro protestors way back when it was not fad of the day. I did not jump on the protests wagon on December 28 but I have been on the wagon for many years when no celebrity had the guts to be political or support the Iranian Opposition. I certainly wish for this matter to be solved now. I would like to thank the Iranian people and all of my fans who have been supporting me and without them I would have not been where I am today. I love all of you. Islamic Republic can put out the fire in the streets but they cannot put out the fire in our hearts. Once again, we will uprise and we keep on doing it until we overthrow IRI. If IRI thinks this is the last of protests, they will be surprised! Regime Cannot Force Islam Down Iranians’ Throats! IRI Regime cannot satisfy the basic needs of the Iranian people. This protest maybe burning out. Future protests will continue until regime change in Iran. Please go to the following link from Magazine The Diplomat, of January 2018. Title: "Why Iran's Monarchy could unite a divided country." Most people around the world lack knowledge of the history of Islam becoming a world religion and what are the abominable verses in the Quran that incite bigotry, hatred, violence, and the killing of innocent people who have religious beliefs other than Islam. 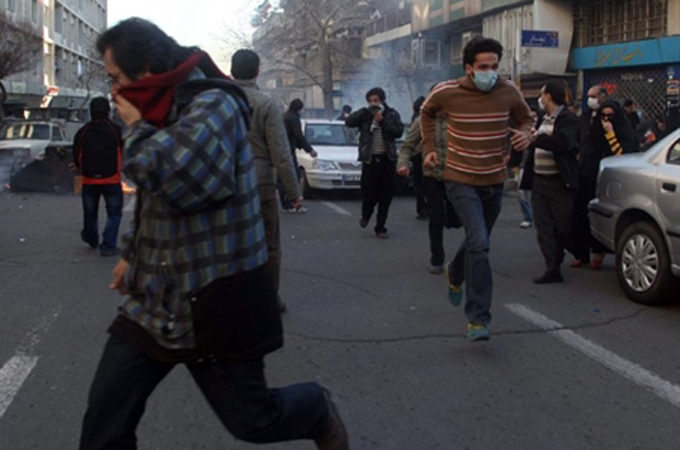 Today, we are witnessing the many terror attacks by fanatical Muslims and an Iranian peaceful protest in Iran. Countries are beginning to understand that Muslims will never assimilate within their borders because of their indoctrination of the a repressive ideology presented in the Quran. I encourage all IPC members to share the above communication links throughout the media, with political leaders, philanthropists, friends, and associates. Knowledge is power! Your post should have been under Iran Protests heading on this webpage, there is no need to open a new rubric. Also, please do not try to change the subject, the protesters in Iran are agaisnt the Mullahs' lllegitimate Regime in Iran, and NOT about war on islamic, or anyother religion. The people's religious believe is a personal private matter, and part of the human rights of the citizens.